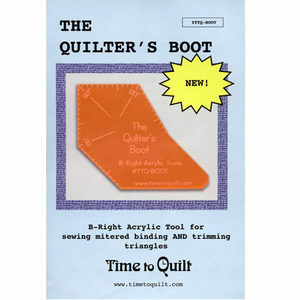 Rare is the quilter that doesn’t save her scraps. Unfortunately, that’s as far as some of us get. Break out of the mold, pull out your scraps and make a quilt! Here’s a few patterns that might work for you. This one is for the itty-bitty scraps. Use them up in this Scrappy Nine-Patch. A neutral background showcases all those little bits of color. Syncopated Ribbons makes use of your odd shaped scraps. Instructions are includes for four sizes, from baby to queen. Time to sort those scrap pieces into colors! 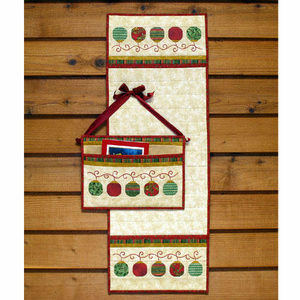 You won’t need many large scrap pieces for this one – you’ll be able to use up lots of your smaller scraps. And it won’t matter how bright or subdued your fabrics are – Pinwheel Sampler will make them into a cheery quilt. With Fiesta Wear by Sandy Klop, anything goes. Prints, solids, tone on tones… use them all. The black border and black sashing really accent the colors. Little Big Star has the look of a Trip Around The World. 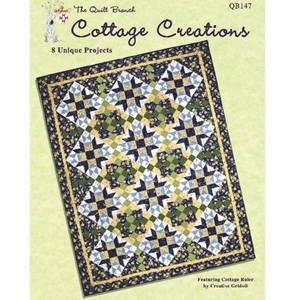 Your scraps, plus a little white and a little black will create this amazing quilt. 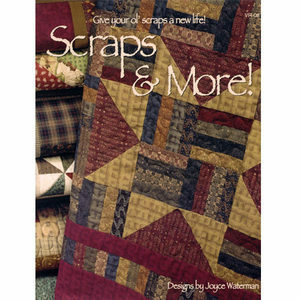 Scraps & More is a book full of patterns for your scraps. 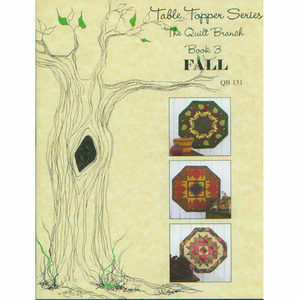 Nine in all, including quilts, a pillow pattern and a table runner. 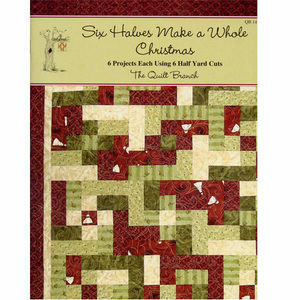 If you didn’t like any of these, browse the Scrap Quilt Pattern section of QuiltersWarehouse. Art for art’s sake is not found in a typical Amish home. 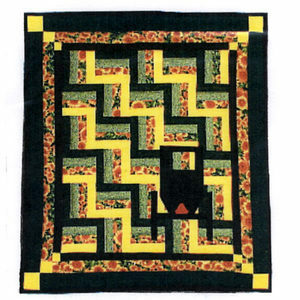 Amish quilts are one of the few forms of art acceptable in the Amish community and that is only because they serve a pratical purpose. 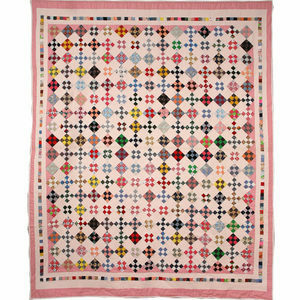 No wonder the women enjoyed expressing themselves as they made quilts for their families. 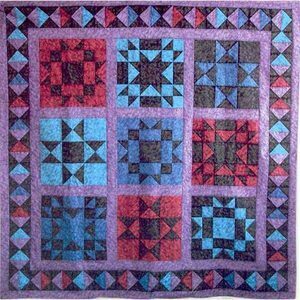 Over time, the quilts evolved from whole cloth with plenty of quilting to added cornersquares and finally color throughout. Still simple, but beautiful in their simplicity. 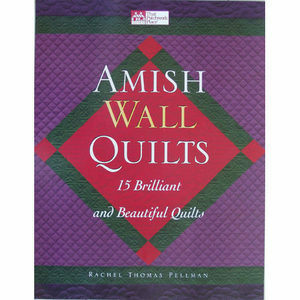 Historian, quilter, and noted expert, Rachel Thomas Pellman provides an information packed look at the development and tradition of Amish quilting in her book, Amish Wall Quilts. 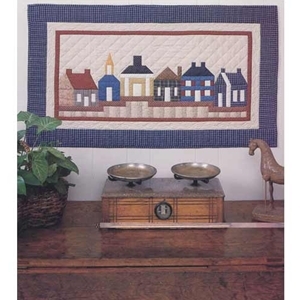 The distinctive quiltmaking characteristics of three different Amish communities are discussed. 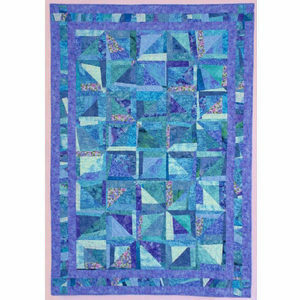 You’ll learn details about how Amish women use quilting as a creative outlet. 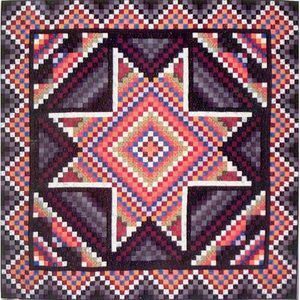 Included are fifteen projects for wall quilts in the Amish style. Almost Amish is less traditional, but still Amish inspired. 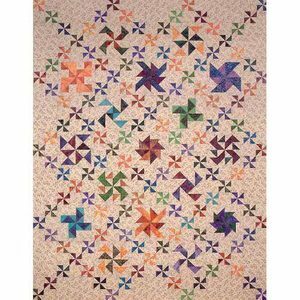 Three star blocks and tone on tone fabrics are used to create the beautiful, simple look. Buggy By The Fence Rail uses the traditional rail fence block to provide a backdrop that looks like a country field. The silhouette of a buggy is appliqued in the ‘field’. 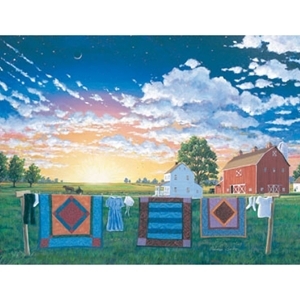 And, for your puzzling pleasure, Amish Quiltscape Jigsaw Puzzle by SunsOut Puzzles. Relax and enjoy putting together this peaceful scene. 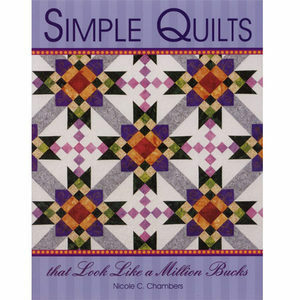 Who knows, maybe it will be inspiration for your next quilt! 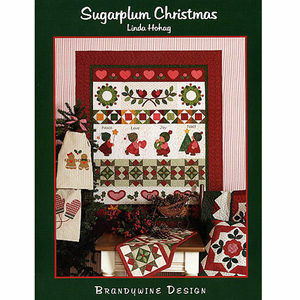 When you are not quilting, be sure to enter our Pinterest contest and have a chance to win prizes! More than just a pattern for a quilt, this book is a collection of thank you letters and photos from children who won ponies by selling subscriptions to The Farmer’s Wife magazine in the early 1900′s. Laura Hird selected 90 letters from the lucky pony winners and chose blocks inspired by the stories and photos. 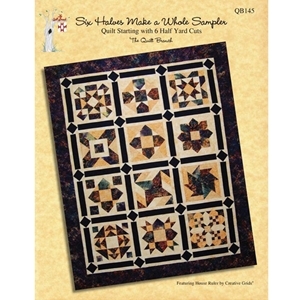 The sampler quilt consists of 90 traditional 8″ blocks to make a large queen sized quilt. Though the blocks are traditional, many of them will be blocks you don’t see used over and over. As Laura states, “these endearing, poignant, and sometimes hilarious letters provide a unique window into the lives of children in rural America at the turn of the 20th century”. 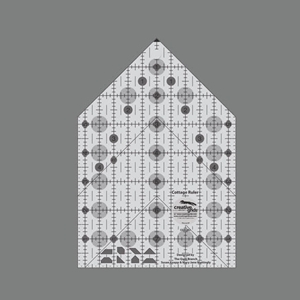 Following the letters is a section with complete, detailed assembly instructions and illustrations for each block. 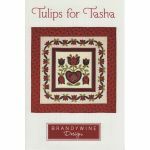 The book includes a CD with templates, foundation patterns where needed, and full sized line drawings of each block. There are assembly diagrams for not only the queen size, but also king, lap and twin. Sampler quilts are always interesting to make and this one is even more so. Just two blocks a week and you’ll be finished this time next year even if you take a few weeks off. 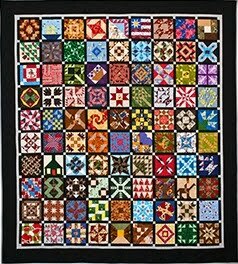 The Pony Club Sampler Quilt would make a great project for a quilt guild and would provide for interesting conversation. 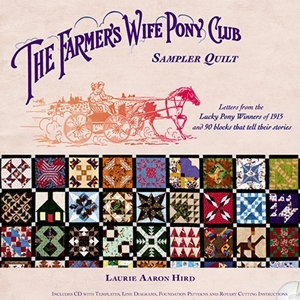 You may want to join the Yahoo group “The Farmer’s Wife Pony Club Quilt“. There you can chat with other quilters about your progress, post pics of your finished blocks, and view pics of other members’ work. Laura Hird has been collecting copies of the Farmer’s Wife magazine and has one of the most complete collections in existence. 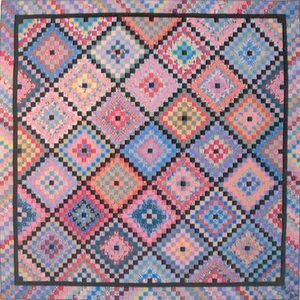 You can follow her blog, The Farmer’s Wife Quilt, where she posts excerpts from the magazines, and discusses upcoming projects.